Maybe you remember Red Light Company, maybe you don't. I do though - they were one of my tips for 2009 and actually ended up appearing in my top 20 albums of 2009. 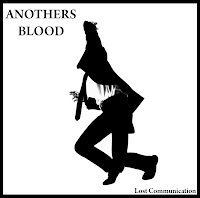 So I'm glad to hear that Richard from the (now defunct) band has emerged with a brilliant new project, Anothers Blood. And until midnight tonight, you can download some tracks of theirs for free below. I'd read about the band on Killing Moon Limited in June and while the band are mostly shrouded in mystery - a trend I utterly despise - as you can see from the video below, they've been happy enough to reveal themselves. But I guess it's the music that really matters. 'Lost Communication' is a complete winner - managing to sound like Kraftwerk and Sigur Ros at the same time is pretty much a ridiculously brilliant achievement. It's a dream-pop special and you'll want to be snapping this up before it disappears in a few mere hours. The other tracks available (here and here) hint at a different, more melancholic, sound so it will be interesting to see which direction the band pursue. Either way, Anothers Blood have already given us plenty to be excited about. Download 'Lost Communication' and two remixes below till midnight this evening. Find out more on Anothers Blood at anothersblood.com.